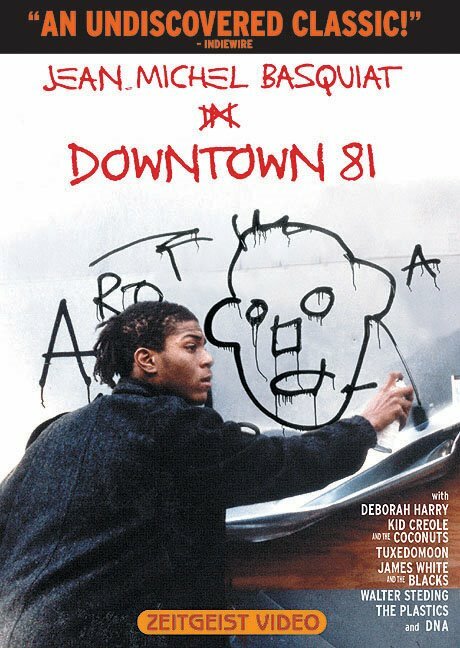 Downtown 81 is a terribly boring movie that I loved. It is a time capsule. The movie itself is meaningless. It couldn't possibly have been written to serve the purpose of being a time capsule and so I can't attribute any genius to the writer or director. The acting is also atrocious. But beyond this boring storyline it is an incredible slice of New York in the early 80s. Downtown 81 stars Jean Basquiat, the painter, at the tender age of 19. This was before he had ever made a name for himself or had a gallery opening. The rest of the cast is a who's who of the music/art/literary scene of Manhattan during the early 80s. Ranging from Blondie to Fab Five Freddie to the owners of famous bars. While I don't have any direct experience with that time period or that place, I feel like most of the music/art/literature I enjoy is a direct offshoot of this creative era. The other incredibly interesting aspect of this film are the shots of Manhattan itself; particularly the Lower East Side. LES is still the edgiest part of Manhattan but that's not saying much. There are no unsafe areas in Manhattan anymore, no drug dens, no burned out buildings. In this movie the LES look like Berlin in 1945 - a war zone. It is a rough area that bears no resemblance to the gentrifying LES today. Considering it is a bad movie with historical value, it's actually advised to watch the movie with the commentary on and skip the dialogue in the movie. The director is a wealth of information on who everyone is. Interestingly almost everyone in the movie has some interesting story of where they are today. They are either dead (a surprising number of them) or they've gone on to make something of themselves as newspaper writers, art restorers, art curators, movie directors, etc. The creativity, in other words, wasn't a flash in the pan. The movie is worth a look.